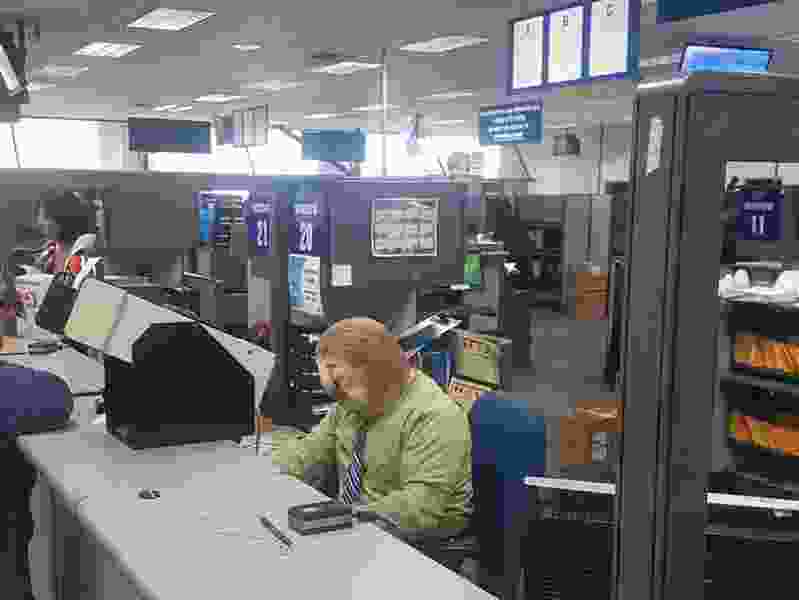 Did you see that photo of a Utah DMV worker dressed as a sloth for Halloween? Turns out, it wasn’t taken here. This photo of a DMV worker dressed as a sloth for Halloween was taken last year in southern California — but the photo was widely shared Wednesday with the incorrect caption that the photo was taken at a Utah DMV. If you’ve been online today, you may have seen a photo making the rounds of a Utah DMV employee dressed as a sloth. The costume is a nod to the Disney movie Zootopia, where a scene shows a DMV operated by painfully slow-moving sloths. While the viral photo is real — and really funny — it wasn’t taken in Utah. A reverse Google image search shows it was taken at a Southern California DMV last year. The photo of the DMV worker went viral in 2017 after someone posted it on Reddit. This year, it appears people began sharing the photo again after a Provo man posted the image on Facebook this Tuesday with this caption: “Someone at the Utah DMV dressed as a sloth”. The photo spread on Twitter with the incorrect caption. Even Utah Lt. Gov. Spencer Cox retweeted it complete with the hashtag #winning. So if anyone at the DMV is looking for a costume next year, here’s a suggestion that will likely get a big reaction.